The more we get to know about Guatemala City, the more we like it. The people are nice, the coffee is the best, and it’s an easy city to be in while we work and travel. Several people told us not to waste our time with Guatemala City. I’m glad we didn’t listen to them. The longer we stay here, the more comfortable we become. Between Kim and I, we find it easy to communicate (of course, it takes two of us) and we are enjoying our time just nomading about. 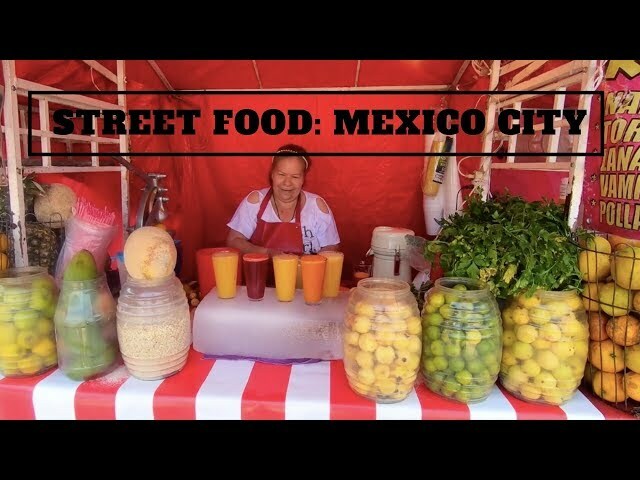 Last week we were Nomading About the city filming more parades, the Sunday market at Plaza de la Constitution (the main square), and shopping daily at the Mercado Central which is the huge underground market in the center of the city. We had some work days where we didn’t have a chance to do much. But we were able to work in a drink or two on the rooftop bar at our apartment and run downstairs as a local parade or protest went by. We started what we hope will be a new series highlighting national foods in each country. Our first attempt to failed, however. We set out to find a Guatemalan restaurant and walked about two miles. We came up short. A lot of Italian and American foods but not traditional Guatemalan. Finally, we found a local bakery with empanadas, a food that was on our list to try. Attached to the bakery is a restaurant. We decided to lunch there and film our first national food. The bakery had empanadas, the restaurant did not. We did have a great meal, but not what we were looking for. The bakery was great, too. We’ve been back daily for fresh bread and treats. Not everything is fun and games when traveling. One consistent problem is banking. Sometimes foreign ATMs will accept our cards the next day they won’t. One bank will issue cash from our debit card another bank will not. A 45-minute wait for the simplest transaction is normal. Usually, you have to wait in two lines. We had trouble getting cash this week. Everything worked out but it unexpectedly soaked up 2 and half hours of our day. And until I had the cash in hand, there was no guarantee we would get any. I also had a problem with my ear. A Guatemalan friend took me to the hospital. The first hospital did not have any experience with ears. The second hospital sent me to the emergency hospital. The emergency hospital said my issue was not an emergency. Sounds like American medical care. But all medical care in Guatemala is free. In the end, I got some drops and was told to use them twice a day for three days. I think it’s working, but I am not entirely sure yet. The total cost of the day was Q90 or about $12. Which includes a taxi ride to and from our apartment, the doctor’s visit, and a prescription. We’ve also been having a lot of discussion about our voice and the kind of videos we want to make. The reality is we are not young backpackers traveling the globe. We are a middle-age-ish working couple that loves history, culture, good food, and adventure. As such, we are making a concentrated effort to tell more of the stories we want to tell and stop producing videos because we think we should or because everyone else is doing it. It makes perfect sense when you think about … Kim is a professional storyteller, after all. This week we will be nomading about the city filming the story of Guatemala City, as we see it. Guatemala City is a story of destruction and rebirth. This is a city that has risen from the ashes four times. We are also headed to Antigua for the week before we venture back to the states to housesit for my mother and then help our boy move out of the dorms for the summer. If you didn’t know, we have been filming very short daily vlogs for our VIP group. It gives people a look into our travels in real time. We posted a tour of our neighborhood in the Historic District of Mexico this week. We landed in Mexico City for three weeks and found a quaint Airbnb in the historic center of the city. It was the perfect location to explore Ciudad de Mexico. We were a 10-15 minute walk from the Zocalo, Bellas Artes, Alameda Park, and street markets galore. Join us for a walking tour of our neighborhood.